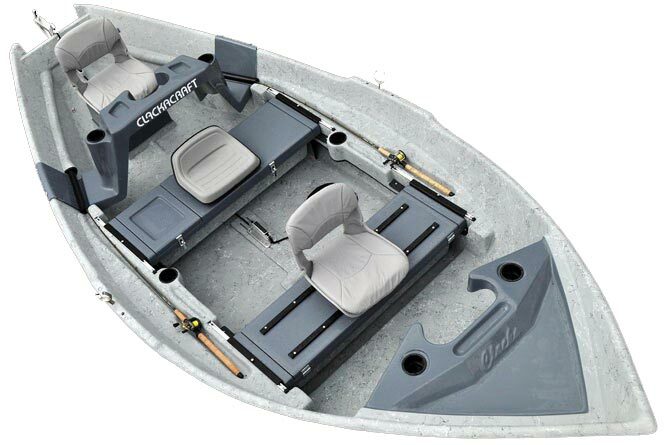 For 40 years, ClackaCraft has been building the most reputable, durable drift boat hulls in the industry. We know how important it is to have the right tool for the job, which is why we’ve developed and perfected the widest range of hull designs available. From our stealthy HeadHunter to our wave-busting Old School High side, ClackaCraft has a hull guaranteed to optimize your time on the water. Factors such as side height, beam, length, rocker profile, foot print, and interior layout all determine a boats performance characteristics and capabilities. 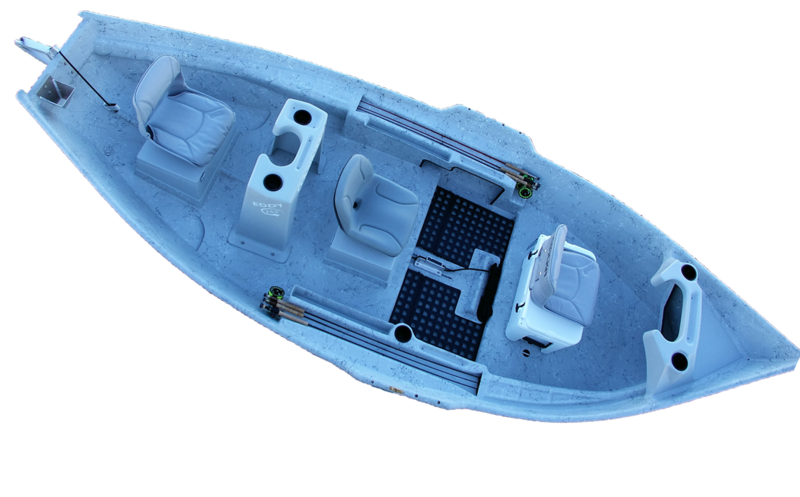 If you have any questions, our experienced and helpful sales team can help guide you into the perfect boat for how and where you fish. The hull by which all others are measured, the 16’LP continues to set the standard for how a drift boat should row. Popularized in the intermountain west, this boat is now commonly found from the Yakama to the Delaware and everywhere in between. Our most versatile hull, the “tried and true” 16’ Standard-Side can do it all. 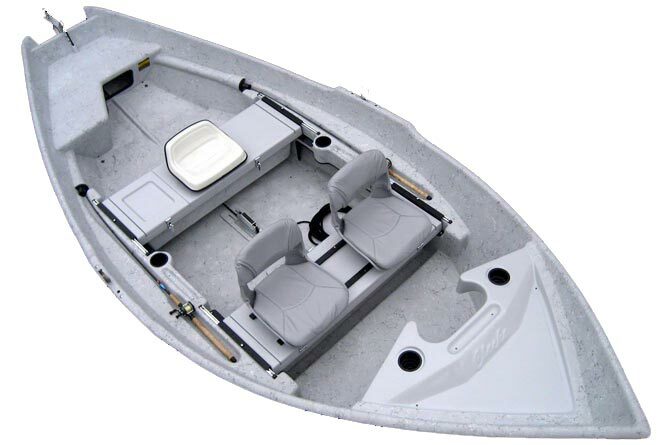 The 23” sides and 57” bottom width provide excellent stability and security in rough water while handling substantially better than most Mckenzie-style drift boats. 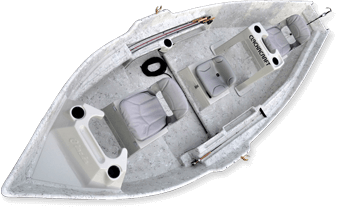 Perhaps the best rowing drift boat on the planet, the HeadHunter is in a league of it’s own amongst skiffs. 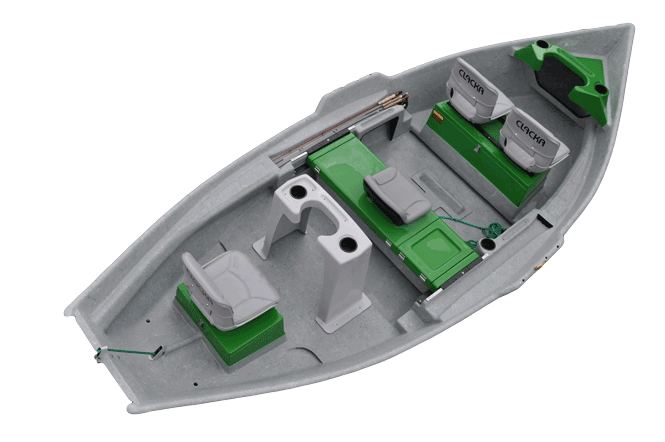 With minimal draft and ultra-low sides, the Headhunter can go where other boats can’t. 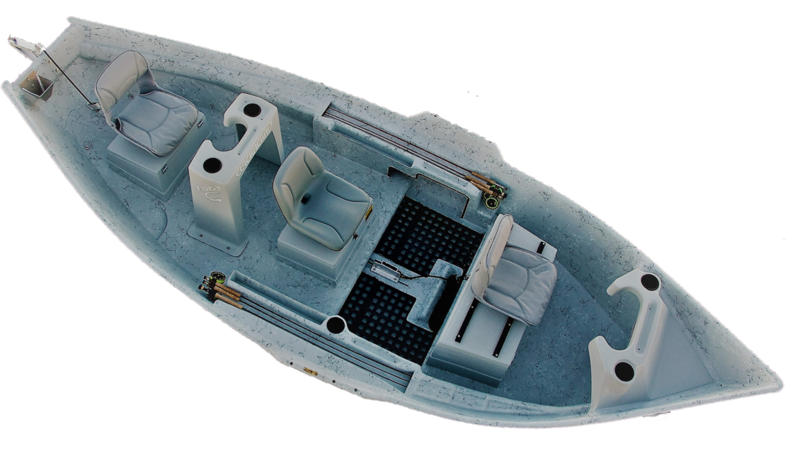 If the fish you chase live in skinny, tight, windy areas, this is your boat. Oar Lock Height 19″ Motor 5 H.P. 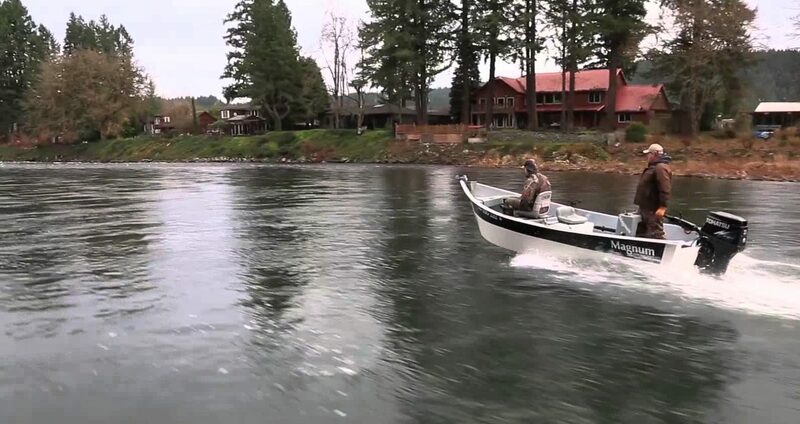 The 17-foot Magnum is the newest boat being produced by Clackacraft. 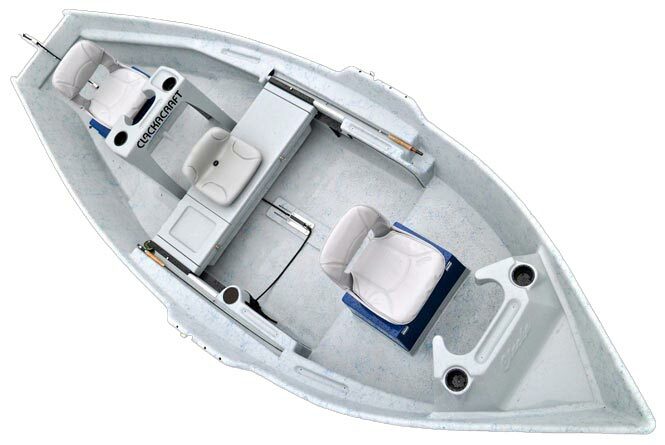 It’s a combination Power and Drift boat, commonly referred to in the industry as a “Power Drifter.” Power upriver to a spot and then jump on the oars to stealthily slide the boat into the desired location. And after you drift through, power back upriver to make another drift. Designed for smaller rivers, the 14’ Big Sky turns on a dime yet is capable of taking on moderate whitewater. 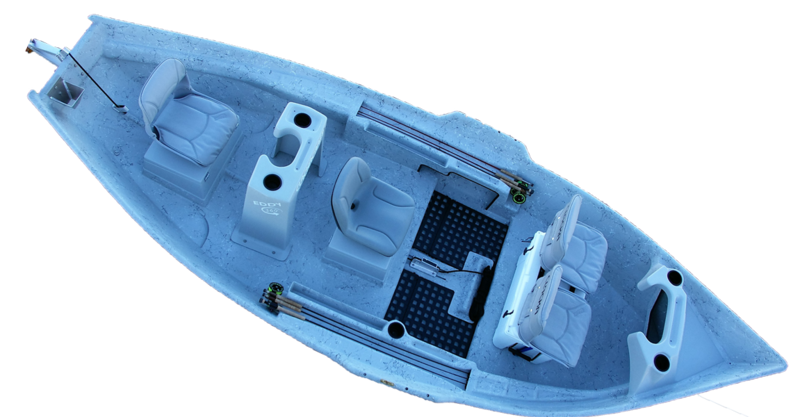 Available with either a front bench or pedestal box, the 14’ Big Sky can accommodate up to three people and is a great option for those seeking stream access on a budget. Attention white water enthusiasts: after numerous requests for an ultra high sided boat, we are pleased to introduce the Old School High Side. By adding 7” of additional side height to our popular 16’ Standard Side hull, this boat has the side height to handle the toughest whitewater scenarios.